The Pennsylvania Public Utility Commission yesterday approved a $50 to $100 million microgrid pilot program planned by PECO Energy. The microgrid pilot accompanies the utility’s five-year, $274 million reliability and resiliency plan to modernize its electric distribution system. The Exelon subsidiary expects to build one or more microgrids in its service territory over the 2017 to 2020 time frame. “PECO indicates that these projects could be potential alternatives to traditional transmission and distribution solutions, and that the company is focusing on areas where the projects can provide significant benefit to diverse customer segments and critical facilities,” said Pamela Witmer, state public utility commissioner. Like other utility microgrid pilots in the Northeast, PECO’s program was spurred in part by widespread outages from increasingly intense storms in recent years. 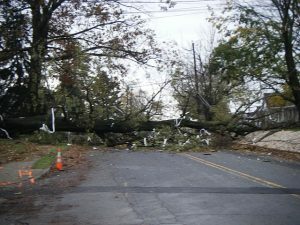 Superstorm Sandy left 850,000 of the utility’s customers without power and forced the utility to replace 140 miles of conductors and 2,538 cross arms. 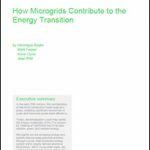 PECO’s move into microgrids also is in keeping with the direction of its parent Exelon and its affiliate in Chicago, Commonwealth Edison, which also are moving strongly into the microgrid sphere. PECO filed the plan (Docket No. R-2015-2471423) in March with the Pennsylvania utility regulators. The utility said in the filing that it has been monitoring development of microgrid technology and developments in other states and believes that microgrids could replace obsolete utility infrastructure. The microgrids will be installed where they can help “diverse customer segments,” the utility said. These may include microgrids that serve hospitals, retirement communities, emergency care, supermarkets, gas stations, banks, pharmacies, hotels, home improvement stores and telecommunications, wastewater, and energy facilities, and similar sites. Use technology that provides valuable information that can be used in future projects. Witmer applauded PECO Energy’s move into microgrids because of their reliability benefits. She cautioned, however, that challenge remain to broad microgrid development. “To name a few, these include rate structure, questions about ownership of generation and maintenance of the grid, and the issue of cross-subsidization, given that traditional customers could arguably shoulder a greater portion of the cost to maintain the system when some customers shift to a microgrid,” Witmer said. Separately, PECO also has been assisting with development of a microgrid at The Navy Yard in Philadelphia, as part of a larger smart grid project. The commission voted 5-0 to approve the infrastructure plan, which also includes storm hardening and resiliency measures, underground cable replacement, building substation retirements and facility relocations. The utility expects to begin the upgrades in 2016. PECO provides electric delivery service to about 1.6 million customers and natural gas delivery service to about 495,000 customers in a 2,100 square-mile area that includes Bucks, Chester, Delaware, Montgomery and York Counties, and the City of Philadelphia. The utility filed the plan under a state law that allows it to recover through rates reasonable and prudent capital costs to repair, improve or replace eligible parts of its distribution system. Track news on microgrid pilot projects by joining our LinkedIn Group, Microgrid Knowledge. What Does Constellation’s Deal with ConEd Solutions Mean to its Microgrid Business?